Another $100 million tranche of Florida focused property and casualty insurer Heritage Insurance Holdings, Inc’s Citrus Re Ltd. catastrophe bond tranches looks to have paid out, as the cat bond note balance went to zero and the extended tranche was allowed to mature. As we explained recently here, two of Heritage’s outstanding and extended maturity Citrus Re catastrophe bond tranches recently matured with zero balance, specifically a $30 million Citrus Re Ltd. (Series 2015-1) Class C tranche of notes, and a $35 million privately placed Class B tranche of the Citrus Re Ltd. (Series 2017-2) issuance. With these two recoveries completed another has now come to light, as Heritage continues to recoup reinsurance recoveries from the catastrophe bonds that were hit by its losses from hurricane Irma and the post-hurricane loss creep the carrier suffered. Heritage was one of the insurers with the highest exposure to 2017’s hurricane Irma, given its significant footprint across the state of Florida, especially in wind exposed coastal regions. Heritage revealed that its gross incurred losses from hurricane Irma had risen to $900 million in recent weeks, which made it clear that a number of tranches of the insurers in-force Citrus Re catastrophe bonds would result in recoveries for the firm. 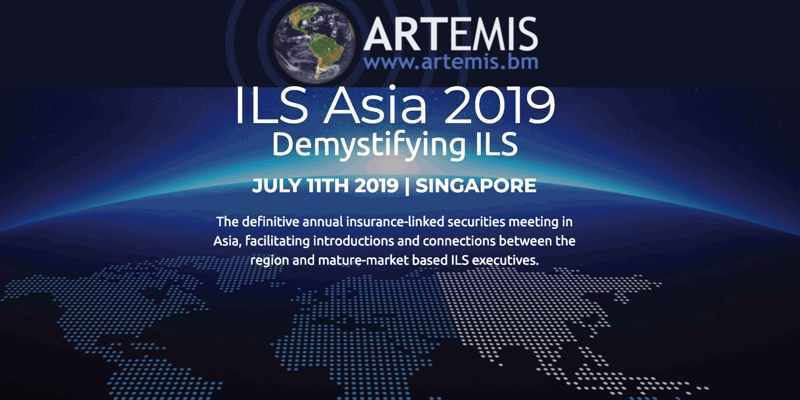 Heritage has layered catastrophe bonds up the length of its reinsurance tower, to leverage efficient supporting capacity from ILS funds and capital markets sources, alongside its traditional reinsurance providers. With certain cat bond tranches always expected to pay out for the insurer, it’s now clear that these reinsurance recoveries are being made by Heritage and the ILS investors backing the Citrus Re bonds have been able to realise the losses to their portfolios. The latest is the $100 million Class E-50 tranche of the Citrus Re Ltd. (Series 2016-1) issuance, which had already been priced down as a total loss on pricing sheets by cat bond brokers. This tranche of notes has now been allowed to mature with a balance of zero, which we suspect means the $100 million tranche has paid out, to the benefit of sponsor Heritage, providing a valuable reinsurance payment to assist with the Irma related losses it has suffered. These Class E-50 notes of the Citrus Re 2016-1 cat bond were one of the riskier layers of the cat bond program that Heritage had in place, so it’s no surprise they have become a total loss. So that’s now $165 million of Heritage’s Citrus Re cat bonds that have been allowed to mature at zero balance, suggesting full reinsurance recoveries were made for each of the three tranches of notes. Heritage’s cat bond recoveries are set to be the largest reinsurance recovery made by any single sponsor and there are more to come, as the final determination of its hurricane Irma claims are made and how much of the principal pays out is decided. A number of tranches of notes remain extended and others considered at risk. We’ll update you as and when any further information comes to light on these cat bonds and you can view details of all at-risk tranches in our directory of catastrophe bond losses and cat bonds considered at-risk.